Summer is here and Mount Pleasant and 103.5 WEZL, are celebrating with the 2018 Party in the Park, a free outdoor concert series. 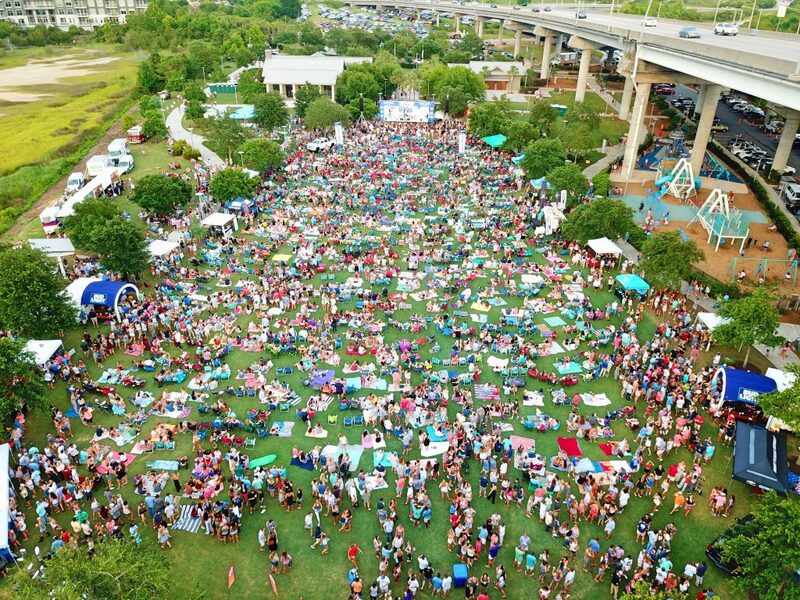 Each Tuesday evening in June, Mount Pleasant Memorial Waterfront Park comes alive with big-name and up-and-coming New Country artists, food and drinks, and breathtaking views of Charleston Harbor—all with no tickets, no cover, and no reservations. Summer is here and Mount Pleasant and 103.5 WEZL, are celebrating with the 2018 Party in the Park, a free outdoor concert series. Each Tuesday evening in June, Mount Pleasant Memorial Waterfront Park (71 Harry Hallman Jr. Blvd.) comes alive with big-name and up-and-coming New Country artists, food and drinks, and breathtaking views of Charleston Harbor—all with no tickets, no cover, and no reservations. This year’s series features Carly Pearce, Chase Rice, High Valley, Maddie & Tae, Trent Harmon, Mitchell Tenpenny, Travis Denning, and Jimmie Allen, along with special guests Eddie Bush, Mitchell Lee, Lauren Hall, and Haley Mae Campbell. The party kicks off at 6:00PM, but plan to come early to score a good spot on the lawn. Lawn chairs and blankets are welcome, but umbrellas, coolers, backpacks, and—sorry—dogs are prohibited. Concertgoers can park for free at the Waterfront Park lot, or take a free shuttle from the Cheryll Woods-Flowers Soccer Stadium lot. Shuttles will run from 5:00 PM to 9:30 PM. Vendors will be on site selling food and beer, so bring some cash. Or, plan an early dinner at one of Mount Pleasant’s nearby restaurants. Grace & Grit (320 Wingo Way, St. 100) and La Pizzeria (976 Houston Northcutt Blvd.) are each around the corner, so there’s no need to choose between getting a good meal and securing the perfect spot to see your favorite artists. For more information, including fun facts about this year’s performers and contests to meet the artists backstage, visit: https://wezl.iheart.com/featured/party-in-the-park/ or follow #wezlpip on Twitter, Instagram, or Facebook.